478 United Says Goodbye to the Boeing 747 - Airplane Geeks Podcast - The weekly audio podcast that explores and expands your passion for aviation. Benét Wilson flew on the last United Airlines flight of the Boeing 747 and talks about the experience. Also, a fatal crash of the Icon A5 seaplane, Air New Zealand tracking technology for cargo flights, the DHS hacks a Boeing 757, and a rare Boeing C-97G Stratofreighter flies again. 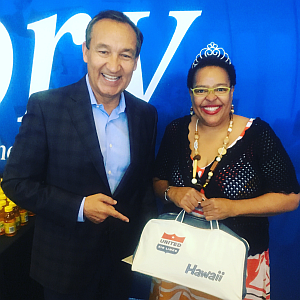 United CEO Oscar Munoz and Benét Wilson at the Boeing 747 farewell flight. Benét Wilson is an aviation journalist, travel blogger and content writer. She is the founder and editor-in-chief of Aviation Queen LLC, an aviation/travel writing, multimedia, and consulting business. Benét contributes to many aviation and travel publications and has worked for various aviation trade publications including AirwaysNews.com, AOPA Pilot magazine, The Weekly of Business Aviation, Aviation Daily, Aviation Week & Space Technology magazine, and Commuter/Regional Airline News. Prior to becoming a trade journalist, Benet spent five years in senior corporate communications positions at Delta Air Lines, Mesa Air Group, Rolls-Royce North America, and the Regional Airline Association. Find Benét on Twitter, Facebook, and at TripSavvy and her Aviation Queen website. Benét Wilson was lucky enough to get on the last United Airlines flight of the Boeing 747. Flight UA747 departed from San Francisco and flew Honolulu with customers, employees, and distinguished guests onboard. Benét tells us about the passengers on that flight and what the experience meant to her. 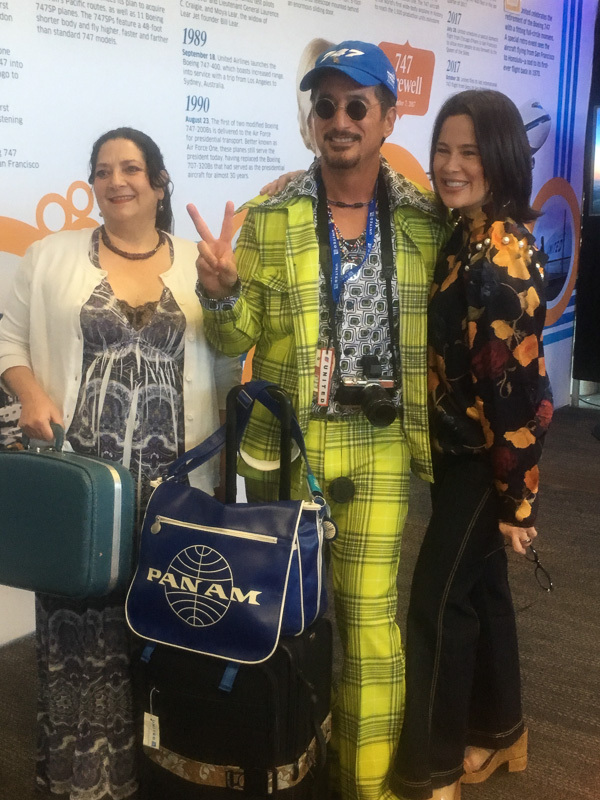 Winner of the best 1970s outfit contest. 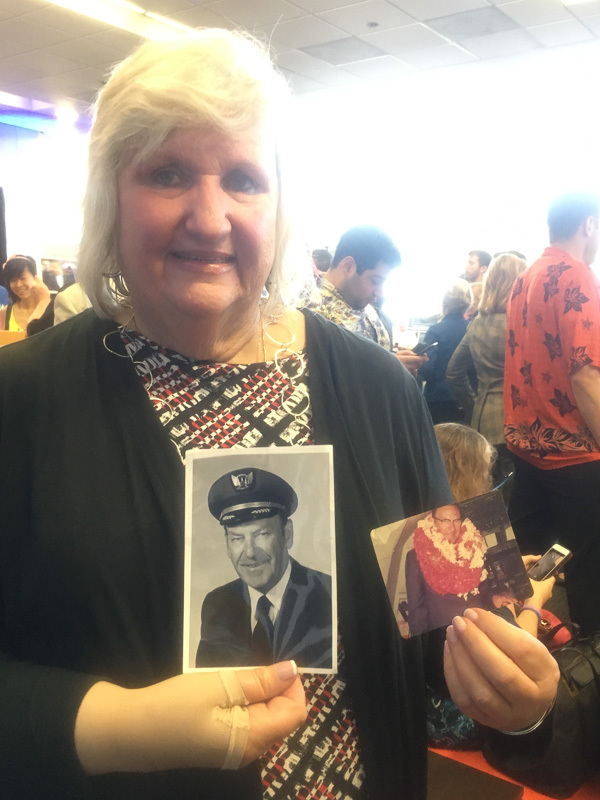 Diane and father, the first 747 pilot for United. Henry Harteveldt on the last United flight of the Boeing 747. 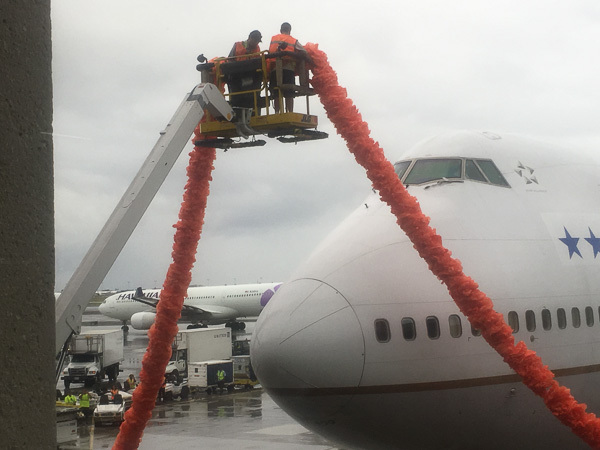 The Boeing 747 gets a lei on arrival in Hawaii. 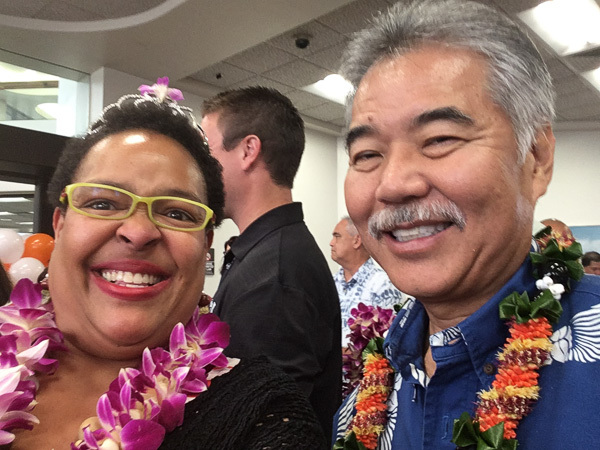 Benét and Hawaii Governor David Ige. Retired major league baseball pitcher Roy Halladay was killed in the crash of his Icon A5 in the Gulf of Mexico. Boaters say the plane flying aggressively and capture the final moments of the plane on video. A few weeks previously, Icon issued low-altitude flying guidelines in an email to customers. Air New Zealand is currently installing more than 5,500 Bluetooth® tags on its cargo containers, pallets, and unit load devices. (Press release: New tracking technology for Air New Zealand Cargo). More than 100 readers are being installed at 29 airports worldwide. This will provide real-time cargo tracking information. Dr. Robert ‘Rob’ Hickey is a program manager in the Cyber Security Division (CSD) of the Homeland Security Advanced Research Projects Agency. At the 2017 CyberSat Security in Aerospace Conference held November 7-8, 2017 at Tysons Corner, Virginia, he announced that in 2016 a team of government, industry, and academic officials remotely hacked a Boeing 757 on the ground at the airport in Atlantic City, New Jersey. Details of the hack are classified. Boeing C-97G Stratofreighter 52-2718 landed at Floyd Bennett Field in Brooklyn, New York in May 2002. Restoration to flight worthiness took 15 years and the plane was flown to the Mid-Atlantic Air Museum in Reading, Pennsylvania and will be there for the 2018 “World War II Weekend” event. 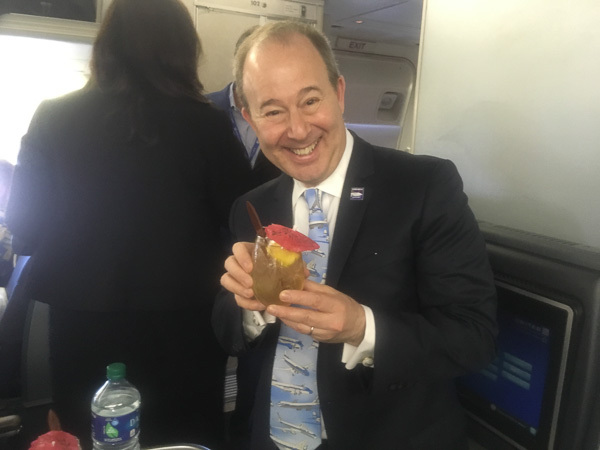 Brian tells us the good, the bad, and the ugly about his flight to Singapore and back for a meeting that was canceled. Airell talks about long flights, especially a 33-hour flight! AOPA Live This Week changed their RSS feed. You’ll need to resubscribe to the new feed. The Plane & Pilot North American P-51 Mustang Gallery is stunning. 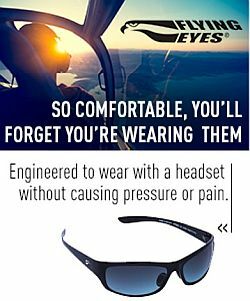 Don’t forget the 10% discount code for iFly GPS products. Black Hawks and Osprey Aircraft Create “Kopp-Etchells Effect” During Low Light Exercise and The Kopp-Etchells Effect Explained. 747 from deadly 1996 TWA Flight 800 sits largely reassembled in Ashburn warehouse. United Airlines Boeing 747 last flight photographs courtesy Benét Wilson, the Aviation Queen. This entry was posted in Episodes on November 15, 2017 by maxflight.